Well hello there! Thanks for stopping by! 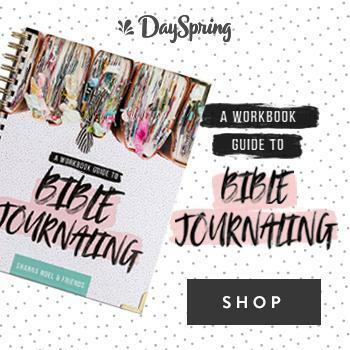 Today I’m sharing entries 22 through 28 my my 100 Days of Bible Promises Devotional Journal by Shanna Noel 🙂 Still catching up, but we’re getting there right?! Day 22- Christ Doesn’t Change. I love this Truth!! Just like in my last post I talked about using supplies that are already out on my desk. 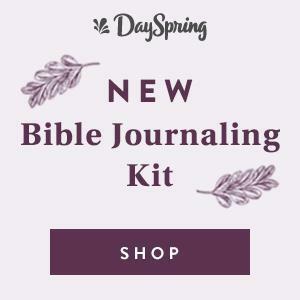 So since I used pieces from the older devotional kit Free to Flourish on my day 21 entry, those pieces are still handy and make an appearance on day 22! I paired the kit stickers with some green homespun alphas, the newer tiny colorful alpha stickers, enamel hearts, wordfetti and finished it off with some art marks using Faber Castell brush pens. I used the colors Pink Madder Lake and Phthalo Green– to see all the brush pens I pulled for this journal check out this post. I used pieces from the Fruit of the Spirit collection from Illustrated Faith- the new larger tip-ins, paper pieces (those birds!) and some card stock stickers from the 6×12 sticker sheet. Easy peasy! I later went back and included my journaling on the tip-in. Day 24- Put on the Armor of God. I’ve worked through the Armor of God study by Priscilla Shirer two times (it’s that good) and included a couple quotes from the study. She reminds us that in Ephesians 6 Paul says to put on the full armor of God, not just the helmet one day and the breastplate the next. We can only do battle with the enemy when we’re fully armed and fighting in prayer! As you can see this page is pretty simple. I used the Gratitude Documented sticker sheet for those large teal alphas along with the typed words from the 100 Day Toolbox in the Print & Pray Shop. I filled in the empty space with some wordfetti and art marks using a big brush pen in Light Flesh. Today I knew I had to use Brave Little Taylor’s Print & Pray set Crazy Loved that came out in February. In the nick of time I remembered to save space for journaling because I kept sticking down ALL THE THINGS. I finished it off with a few enamel hearts and called it a day. Day 26- Finding Strength in Trust. I mentioned it in my last roundup post, but “trust” is the theme that is jumping out at me as I journal through this book. Maybe my heart is being prepared for something? After journaling I filled in some blank space with the Illustrated Faith highlighter washi a la Shanna Noel. Day 27- Live with Endurance. Ok, perhaps one of my favorite entries. Maybe it’s all the color, maybe it was the opportunity to go through some notes from Christine Caine’s IF: Gathering talk about endurance- either way I really like this entry. I remember creating this on my couch with my toddler playing nearby. I had just printed the 100 Days Speech Bubbles from Elaine Davis and from there decided to use a bunch of Elaine-designed things 🙂 including the Delight in His Day washi tape, the 100 Days Washi Set and her latest Print & Pray release Pin It Up. How could I not use Shawna Clingerman’s new Print & Pray set Good God?! I printed (most of) her release on clear sticker paper and kept it very simple for today’s entry. And that’s it for this roundup! I’ll be back next week with additional pages. Let me know if you have any questions- I’m always happy to answer them! PS Don’t forget it’s never to late to join in! You can pick up your book here. 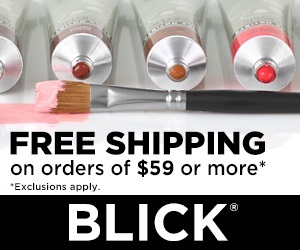 Be sure to use code IFSHIPSFREE for free domestic shipping!